Exploring the hierarchical structure and internal correlation of chronic disease knowledge network is of great significance to distinguish conceptual terms and core directions of chronic disease area. This paper proposed a descriptive Tomographic Content Analysis method to analyze the cross-section of chronic disease knowledge network. K-core values and clustering coefficients were applied to divide the network into layers. Then vectors for each layer were constructed to calculate their cosine similarities to compare their correlation and differences. Finally, network stratification results were compared with the community modules obtained by the traditional social network analysis from a quantitative perspective. To illustrate the method, a number of 26,717 articles related to hypertension in the PubMed database were taken as examples to construct the chronic disease knowledge network. Results show that the chronic disease knowledge network can be divided into the basic layer, the middle layer and the detailed layer. The basic layer can be used to divide the main research directions of chronic diseases. The detailed layer can be used to characterize the specific research and reveal the microscopic forms of the network. The middle layer can be used to explore the network intersection and evolution paths. Compared with the traditional social network analysis method, our proposed method can obtain more in-depth and detailed hierarchical structures and internal correlations of chronic disease knowledge networks. 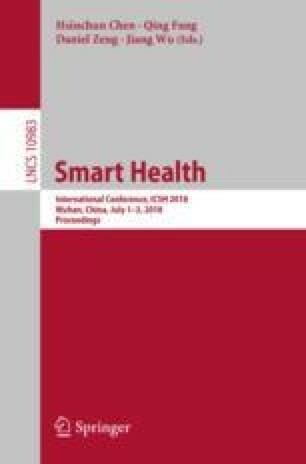 This paper is an outcome of the international cooperation and exchange program “Research on Intelligent Home Care Platform Based on Chronic Disease Knowledge Management” (No. 71661167007) and the major international (regional) joint research project “Research on Knowledge Organization and Service Innovation in the Big Data Environments” (No. 71420107026) supported by National Nature Science Foundation of China.